Chinese investors buy fewer homes in the US. Oh no, we thought when we read the report from the National Association of Realtors. Not now! Not when there’s a huge unstoppable condo glut building up in the teetering housing markets of San Francisco, Manhattan, and Miami, when sales and prices are already dropping. Foreign investors are now needed more than ever to absorb this new high-end inventory and bail out these markets. That’s what everyone has been praying for. The last thing we need is for Chinese investors to stay away from San Francisco and Manhattan; and Canadian, European, and Latin American investors to stay away from Miami. But that’s what they’re starting to do – for the first time since the Financial Crisis. The data for the just released NAR report is based on a survey of 5,960 realtors that covered “transactions with international clients during the 12-month period between April 2015 and March 2016. Sales to resident foreign buyers – the “recent immigrant foreigners” who live and work in the US – rose to 126,300 housing units, the highest on record, after having fallen in the prior year. And the amount they spent jumped to a record $59 billion. But sales to non-resident foreign buyers – investors who don’t bother to move in – dropped 11% to 88,500 housing units, the lowest since the Financial Crisis. That’s down 25% from the record year 2014. And the amount they spent plunged 19% to $44 billion, the lowest since 2013. Home prices in the US overall, according to the NAR, rose 6% year-over-year in March just before the survey was taken. And the currencies of the countries where these foreign buyers obtained their wealth have declined or plunged, which made buying properties in US dollars much more expensive for them. Who are the biggest buyers? The Chinese. For this report, “China” includes Mainland China, Hong Kong, and Taiwan. They bought expensive homes with a median price of $542,084. In total, they spent $27.3 billion, down 4.5% from a year ago. And the number of homes they bought plunged 15% to 29,195. So who is going to bail out the San Francisco and Manhattan housing markets, steeped in an epic condo glut? No one knows. Buyers from Canada, $8.9 billion. Buyers from India, $6.1 billion. Buyers from Mexico, $4.8 billion. Note that all four combined spent $25.3 billion, or 13% less than the Chinese! That’s how dominant among foreign buyers the Chinese have become. Buyers from the UK probably knew a thing or two about Brexit and what it would do to the pound. So they took their pounds and changed them into dollars and bought US properties before their beloved currency got crushed. Among those five, the Brits were the only ones to spend more on US residential properties in this period than a year earlier. But now the Brits are going to have a hard time buying anything in the US: the pound has lost 25% of its value against the dollar over the past 12 months. 22% in Florida, mostly Canadians, Latin Americans, and Europeans. 15% in California, mostly Asians, concentrated in just two urban areas. 10% in Texas, mostly from Latin America, the Caribbean, and Asia. The next states in line were New York (4%), mostly just New York City, which attracted mostly Asian buyers, and Arizona (4%). But San Francisco, Miami, and Manhattan are steeped in an epic condo glut. New high-rise developments are hitting the market, and those still in the pipeline will hit the market this year and over the next few years. Developments where construction has already begun can no longer be stopped without huge losses. They were planned in good times. And now the tide has turned. It’s already happening. Condo prices in Manhattan, as new high-end developments flood the market, have tumbled 14% in three months. Someone needs to buy these condos, or else the market will cave, and lenders will be stuck with the bill. Foreign investors are now crucial in the markets, but with the usual impeccable timing of market forces, foreign investors are now pulling back. ← Did the EU just Kill Trade Pacts CETA and TTIP with Canada & the US? Or is it a Perfect Trap? I’ve heard that in China the apartment can be sold almost completely unfinished, a blank space. And there is no urgency to finish it- it may sit like this for years. But maybe it’s an idea for a desperate developer and a motivated buyer short on cash. It’s like that in most Asian countries, nick. That way, the developer cuts costs and the buyer gets to fit out the place (floors, lighting, kitchen) the way he/she wants. I actually prefer it as I don’t have to put up with someone else’s aesthetics! Nearly all new homes in China are sold as a shell. The buyer will spend another 20% to finish it. Most builders are not in the business of upgrades, like American builders. A massive industry exists to finish out your new home to your own taste and budget. You can walk into a design center and decide on ceramic tile or wood floors, all the cabinets and fixtures, lighting, window treatments, everything. Even wallpaper, appliances and furniture. Or you can act as a subcontractor and do it yourself piece by piece. Another benefit of this practice is that you can buy a home for your children or as an investment and keep it for decades. It will not degrade like a finished unit. Being built of concrete, it need no more maintenance than a bridge abutment. Yes, but concrete has a design life, depending on the kind of concrete and other factors. Maybe 30 years. Maybe longer. After that, it deteriorates. The Japanese routinely tear down apartment buildings and replace them with new ones. In the US, we’re less inclined to do that. But concrete high-rises don’t get better with age. And remember, concrete bridges collapse after a while because the structure weakens over time. So I’m not sure how these empty shells will work out. I’ve heard that these buildings don’t age well. Also, since no one can own the land, the building sits on a leased property, and these leases expires. Then what? So hanging on to an empty shell apartment for many years of even decades sounds like a risky proposition to me. Wolf, the quality of the steel is key. The rebar….you put rusted rebar in concrete and you will have spaulling (concrete cracking) in a scant few years….maybe ten or less. Most commercial buildings I see in the USA have epoxy coated rebar from the factory for that reason. The quality of the footing to hold the structure another key, look at New York not Miami or San Francisco for that. In the USA fresh water and clean sand for the concrete is code. There is no code in China so the water and sand (salty) can be contaminated and that means bad concrete ( add that to bad rebar and China’s buildings are temporary buildings at best). Remember too that China has JUST learned the hard lesson that only ‘beach sand’ is suitable for high rises to prevent collapse because the sand is not smooth but angular and stops molecular slippage (think of earthquake). China’s building will not stand long simply because of contamination of the material everywhere you look. Quality concrete can easily last hundreds of years. A good example of quality is “the Overseas Railroad” that Flagler build in the Keys at the turn of the last century. Primary structures, footings still stand and stand in salt water. The quality and formular of the rebar and concrete is still a mystery, but said to have come from Germany. The concrete road bed added around WWII crumbled by 1980, so there is your 30 years or so. Sigh! I wonder how the Romans built concrete structures that have lasted 2000 years? I have been to the Pantheon in Rome and it still looks great! Yeah, but that was structurally different and only has to hold itself up. No rebar. Romans didn’t build bridges and aqueducts with cement. They used stones for that. It’s like that in much of Asia as well as in places like Turkey and Georgia. Yes, it can seem odd at first, but since costs in suburban Istanbul are a lot cheaper to begin with, you can buy your own refrigerator and floors and still be at a reasonable cost per meter. Personally, I’m happy to hear any news that will make housing more affordable for the working class. Making $150K and living in your car is beyond ridiculous. All this foreign money is like an invasion by other means. They are overtaking the country one house at a time. It is really insidious. If developers lose money they should never have been lent, too bad. Maybe some real working person will get an affordable property, what a concept. The foreigners buying up houses aren’t the root cause. It’s the central banking system flooding the world with near 0% money. That money always finds its way into certain asset classes like real estate, stocks, etc. If we had an honest monetary system things would correct and these foreigners wouldn’t feel the need seek safe haven assets in other countries. The root cause of this is corrupt banking practices. The top is in. When it will works its way into the financial system is anyone’s guess. I agree with Petunia that the cost of shelter needs to be brought to a reasonable cost for everyone. While I am hoping for a precipitous fall in prices in a short period of time its likely to be a slow grind down. Good things are worth waiting for…..
Wolf is worried but this is actually excellent news for American families and citizens. The only reason these folks are buying houses here to begin with is because of Obama easing foreign purchase taxes that we used to collect on homes sold. Selling out the American citizen has been what this administration is all about. I hope it takes the second leg down needed to find price discovery instead of a fed and govt. fixed housing market. It’s not just the administration, it’s the whole thing. FIRPTA (the repeal you are referring to) was inserted into the budget by Paul Ryan & Co. Republicans and Democrats in Congress were only too giddy to pass the bill (as Obama does not write laws but you already knew that), aided by millions in lobbyist money from the real estate industry. I have an idea who will bail them out — the American home buyers. Even with Japan’s shrinking population, Tokyo residential real estate sales are booming, now that mortgages rates have plunged to 1.5%. And it ain’t just the residential market. Since 2013, the Japanese commercial RE market has been one of the hottest in the world, and it has no shortage of foreign buyers. Now just watch as US mortgage rates start to go Japanese. There will be a bonanza of home sales and refis. The banks will make bank. When the BOJ started monetizing government bonds in 1999, American bankers were astonished. However, nine years later, the Fed started monetizing Treasuries. Japan went NIRP, then European countries went NIRP. Will anyone be surprised the the Fed does the same thing? It’s all very simple. US mortgage rates dip below 2%, everybody with a mortgage refinances, payments go down and discretionary spending goes up along with GDP. The bubble gets reinflated and the San Francisco and Manhattan housing gluts disappear. And if sub 2% mortgages don’t bring payments down far enough, just throw in mortgages amortized for 40 years. It won’t cost $1,000 a month to finance a $300,000 house, or $3,000 a month to finance a $900,000 SF condo. That’s cheaper than rent. Trust me, the Fed’s got a better imagination than I do. I get the feeling you’re onto something. Lower rates would get the party rolling again in many ways. What if yelled cut instead of increased rates in the near future? Your crazy, that so far has proven to be non existent. This is a bubble, it will be great to watch this fed induced bubble popping.. The 80’s called, they want their Japanese property bubble back! Low rates are not good for banks. Low interest rates decrease profitability on loans. Low interest rates in response to a weak economy make banks less happy to loan, not more– not only are you getting virtually no return on your loans, there’s a higher chance of default due to poor underlying fundamentals. Not worth the risk. Banks in Japan have been getting crushed with low/negative rates… the DXJF etf is down 40% since August of last year. So much for the banks making bank. $300,000 house? You can not come close to buying even a mediocre house for anywhere near $300,000 in any of these “hot” markets– and other markets are not the problem, so they’re a non-issue (right now). Even if mortgage rates go to 0%, there is a practical limit to what people can actually afford in principal. The Fed can’t stop a recession, and all it takes is one for the music to stop, doesn’t matter if mortgage rates are 1% or 3%. You’re also ignoring the elephant in the room when it comes to super-low rates in the US: baby boomers and their pensions, which are coming under increasing strain. The Fed is not all powerful, and there will be a reckoning when you mess with the strongest demographic in the country and their retirement bennies. All good points, but mortgage availability was never the problem since the financial crisis. It’s jobs. Even dual income yuppies earning 200-300K would be hard pressed to afford a 2-3 million dollar house or condo. That is where prices are heading in this bubble. Unless, you job hop, your salary is only going to increase about 2.5 to 3.5% a year, well below the actual rate of inflation in cities like SF and NYC. Look at Vancouver, by next year house prices will be in the 2-2.5 million dollar range and condos not far behind. Take our yuppie couple, what happens when one or both loose their six figure salary; foreclosure and history repeats itself. Used to be in many places you could not buy residential property unless you were a citizen of that country. I looked into buying a Paris apartment during the 1970s when I was living there as a grad student. The legal hurdles were impossible. It was protectionism, but it worked in the sense that houses did not function as safe places to park investment capital. Now money flows across national borders with no impediment. Any attempt to limit home purchase to citizens would be laughed out of the room. Of course, my greedy soul thinks of what that studio on the Ile St Louis is worth today…. This has largely backfired on France, with an economy in deep trouble. It has been antagonistic to foreign car plants too. As someone has said: there isn’t a British car industry, but there is car industry in Britain. The industry in France is French, but smaller. The hopes of Paris to replace London as a world of finance face one problem above all: the French are snooty. Frankfurt has a better chance. From everything I’ve heard western continental Europe is a nightmare to do business in, especially France. They’re all a sclerotic mass of bureaucratic red tape and unnecessary regulations. It’s safe to say that high finance is bluffing when they talk about leaving London, they aren’t going to get a better deal anywhere else in western Europe and they know it. I find the above comments interesting. Petunia says foreign home buying “is an invasion by other means” – perhaps implying that foreigners should not be able to buy property in the U.S? Mary chimes in that she was unable to buy property in France due to strict protectionist laws (sound familiar). Then the responses that this is emblematic of France’s economic woes and if this were any other blog we’d probably be hearing that the French are “cheese-eating surrender monkeys” and other anti-French slams. Meanwhile, (and this is not meant to turn this political) Trump and many of his supporters are espousing protectionist-like and anti-free trade policies. In a way, isn’t that what the French have done? In truth, I know the French are more socialist than the U.S., but the trend recommended by some does seem familiar. Honestly, I can see both sides of the issues (and I don’t really have a side I am on but appreciate the considered and generally civil views on here). I’ve been to parts of Mexico and Costa Rica where the gringos have bought all or almost all of the coastal property leaving the natives with little access to these highly valuable lands. I’ve been to Vancouver and and seen the incredible number of high-rise condos that apparently have 50% vacancy rates however all are owned and property are sky-high and rising asymptotically. I don’t support either globalism or protectionism as an ideology. I support flexibility, which is why I am against any of the trade agreements. I think govts should reserve the right to swing in whatever direction is warranted by the economic conditions. Right now people are desperate for jobs and housing and the govt should be addressing that without being beholding to foreign interests. Even though politics is not the topic of this blog, we can all see the political winds caused by regulations that go against the interest of the people. It ain’t pretty and likely to get even uglier. Just like any smart intelligent person would. Read about China Dumping Steel and get the facts straight. Kindly, Alexa, this is how trade wars start– and they don’t end well. As I’m 100% sure you don’t know this based on your post, the Japanese attack on Pearl Harbor was, in fact, instigated by a US trade war against Japan. Now, I’m not suggesting that global warfare would be the result of a trade war with China, but am I suggesting that you stop speaking for what “smart intelligent people” would do, because “smart intelligent people” realize that the world is much more complex than you are presenting it, and that there are far reaching consequences for the actions you are suggesting. The problem isn’t so much a lack of capital controls, it’s the excessive liquidity generated by the world’s central banks. If a bubble is allowed to go on for long enough it will spread like a disease into other markets and create mini-bubbles there, case in point was the Japanese bubble in the 80’s allowed them to buy up Rockefeller Center, Pebble Beach golf course, among many others. And Australia. Every weekend, big ads for Australian property are placed in major Asian papers. Lots of “incentives”, lots of “Roll up! Roll up!” Most are condos, but there are also single-developer suburban estates. With a couple of hedge funds already shorting the Aussie real estate bubble–I mean, market–a decrease in sales to Asian buyers could be the proverbial straw. Then again, I’ve been thinking about that bubble bursting for years now and it never has. About a month ago I started reading reports from West Coast Realtors about the huge dropoff in Chinese investors. Looks like that phenomenon has maxed out. The same thing happened about 1990 with the Japanese investors after the Eighties Boom. They bought up all the penthouses and a lot of the commercial real estate like Rockefeller Center in NYC. Before the ink was dry the market crashed, up to 50% in some areas. Looks like this is the top. The change in the One Child policy is only a few months old. Most Chinese couples are sticking to the one child family, though. The childbirth rate is just a little bit higher than most First World countries, with the exception of the US. America has a lot Hispanic and Muslim immigrants that keep having large families. İ wonder how this sniper attack on the police in Dallas will play out as far as the US being a “safe haven” with the talk of civil war imminent everywhere in the media You can bet it wont be positive Can you say “nail in the coffin”? I have yet to meet a ‘foreigner’ who thought for one second that America was a safe place. Quite the contrary. That included people from countries you wouldn’t even consider on a vacation list for a bad boss. MSM and Netflix are Americans best defense again invasion. Got a gun? I’m old enough to have seen all this before, in the 60’s. Expect a long hot summer and an even nastier election. Change is definitely in the air. Exactly. The public has a 10 year memory. We remember the race riots of the Sixties. It all happened before. Talking to somebody under 40 is like talking to somebody with Alzheimer’s. The 2nd Amendment is important and must be upheld from any who would seek to tear it down to destroy the rights of the citizenry to bear arms against the tyrannical over-reach of the Government as represented by the military and police. That’s treason talk! Your door will probably be kicked down by jack boots in the middle of the night soon! I assure you, outside of right-wing and fringe news groups, Americans are not talking about a civil war being imminent. Calm down, take a step outside, and talk to people who aren’t in your usual community. It helps keep an even keel and grasp on reality. And as a reminder, violent crime in the US is at or close to all-time lows. Violent crime spiked in the 70s and 80s, but is literally a fraction today of what it was in the 1990s. The US has never been more safe, and yet never been more afraid of boogeymen everywhere. It’s sad. Yes, it’s sad that there is a boogieman around every corner according to much of the media. By the same token, if I go out and speak to people who are in my usual community, l find that the economy is great and millions of jobs are being created every year and we have full employment. I don’t think they really have a grasp on reality. Something is happening in the market alright. I live in the peninsula in Bay Area. A year ago, I used to get fliers from RE agents asking me to sell my property and that I can even stay there as long as I want w/o having to moving out. The rents also have stabilized. A year ago, I saw a guy put his 2bed/2bath on the market (1290 sqft ) condo on the market for 3500 and it was taken almost immediately. Now, the latest rent for a similar condo is about 3000. This may have something to do with the fact that there is construction all over the place. Mini-malls disappear overnight and construction starts as quickly as possible. Meanwhile, the new apartments want a rent of 3500 for a 1bed/1bath and 4500 for 2bed/2bath. Right now, they are not budging and instead doing a massive push to get people in. But I haven’t seen a lot of people in these places. So I am guessing the MBAs there haven’t smelled the coffee yet. But we need to wait for the Fed money to exit this market. Bay Area has responded almost instantaneously to the QEs. As a result, a lot of people who wouldn’t be hired 10 years ago are now being hired. And this is why we have a housing crisis. I am banking on things returning to normal the day after the election. The tech industry is slowing down. Only one IPO this year. Unicorns are turning into Water Buffalo’s. Old tech, HP, Cisco, Ebay etc, well, are getting old. If everyone in the world downloaded adblocking add-ons and extensions for their browsers how is that going to affect Google and FB in the long run? It does seem to be slowing a bit. I was able to sell a condo quickly at an OK price, but the number of offers was sparse compared to what was expected. Also the quality of offers wasn’t that great, with many people really stretching to make the minimum down payment. That’s kind of the people that I worry about in a downturn. There is a ton of construction underway already, and I think Google is greenlit for adding 10,000 units on it’s side of the freeway. It feels like rents are going to be driven down and that in turn should drive RE down. I had to get out as what used to be an hour a day of driving has turned in to 2 to 2.5 hours. Even midday traffic is ridiculous, I guess because of the construction boom which closes lanes and adds slow vehicles to the mix. A week ago she got a notice saying it is for sale. Size of condo: 540 sq.ft. hey Mr. Richter, you just got a mention over at ZH, same subject. Come to think of it, the prose reads the same. You COULDN’T be one of the Tylers, could you? No, but thanks for the compliment. I am, however, a contributor at Zero Hedge under the name “Testosterone Pit.” Since 2011? 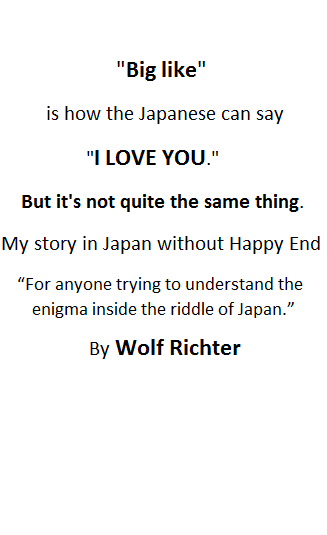 At the top of the article, it also says “Wolf Richter.” About once a week, I post one of my best articles on ZH. They usually appear in the horizontal bar at the top of the ZH page along with other contributor articles. Sometimes they appear in the main column. Sometimes, one of the Tylers also quotes some of my stuff (thank you). BTW, the piece on the Italian Banks posted on ZH today was written by Wolf Street editor Don Quijones; it was posted originally on WS on July 10. I think that’s what you’re referring to. Mr. Quijones’ work is great. Italy, la bella paese, is my dream retirement destination. If only their politics/economy weren’t so effed up.